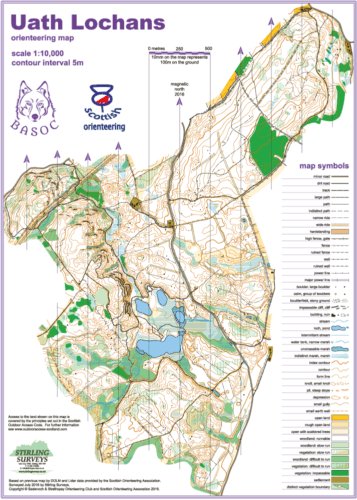 All the areas we have mapped for orienteering. Select a flag to show its details. 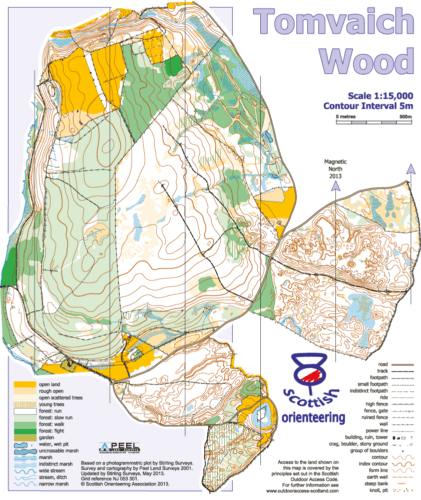 A varied area consisting of scots pine plantation and older, mature caledonian pine forest. There is some intricate juniper thickets in the west and a large area of open moor. 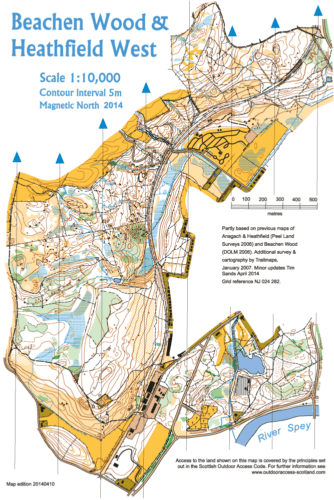 The north west section of the map has a beautiful mature forest area with subtle contour detail. Urban. Recently built school and community sports hub. Balliefurth is a narrow area bounded by the River Spey to the west and the B970 to the east. There is excellent contour detail with birch woodland and open fields with short grass. Part of the area is also named Auchernack. This area is the dominant hill between Newtonmore and Kingussie, rising to the north of the A86. Loch Gynack is the northern boundary. 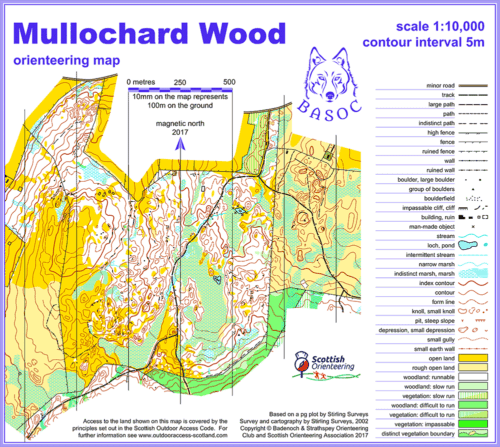 The eastern fringe is the woodland and forest near to Kingussie Golf Course and the western edge of the village. This area has many paths and although steep in places is generally very runnable. 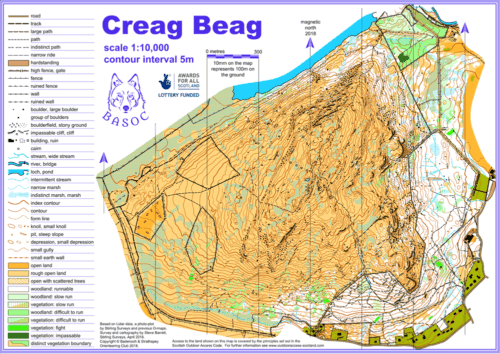 The map is dominated by the rugged hill of Creag Beag (487m); there is an 'up and over' path but apart from that the navigational challenge is provided by the rock and contour features. The physical challenge is added to by some deep heather in places. A very pleasant birch forest connected by a bridge over the railway to a fast open area beside loch Insh. 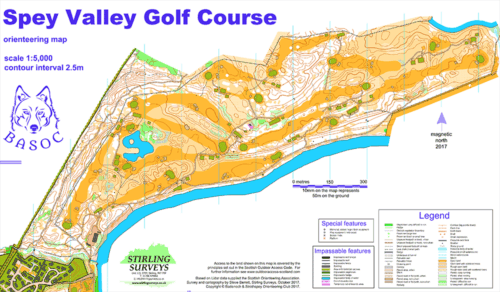 This area can easily be combined with Speybank to make longer courses. An excellent training area with easy access. 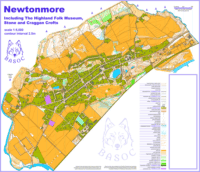 Dunachtonmore has a combination of open moor, birch wood, juniper bushes and areas of fast running on short grass. 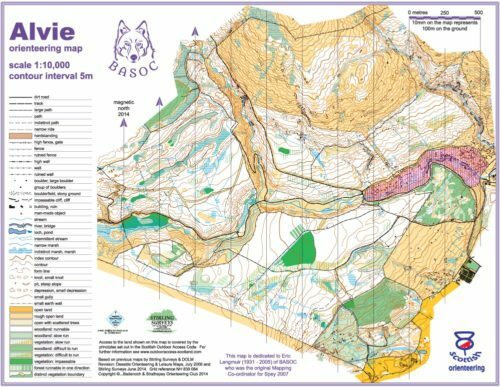 Used for the Scottish Champs in 2009. A small area on the outskirts of Dulnain Bridge. Urban. 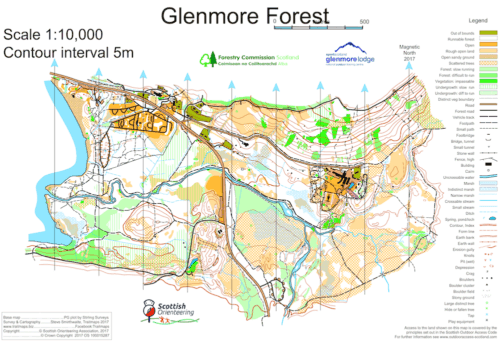 This is a detailed street map of Grantown and nearby woodland. 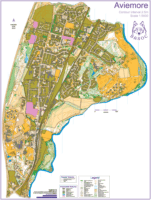 The map offer the opportunity to combine some Urban O with some lovely woodland. A mixed area which tests the ability to change pace and tactics. 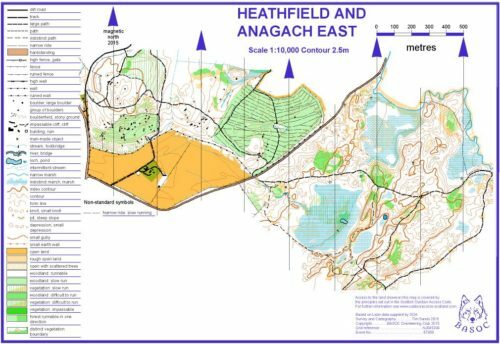 Heathfield has a hill to the west with low visibility rocky plantation and runnable woodland; to the east of Heathfield is a flatter area of plantation characterised by a dense network of rides. Across the quiet road (B9102) is Anagach East; here there is a lot of contour detail (remnants of glacial activity) and flat marshes. Scots pine with heather is the prodominant vegetation with patches of birch trees. 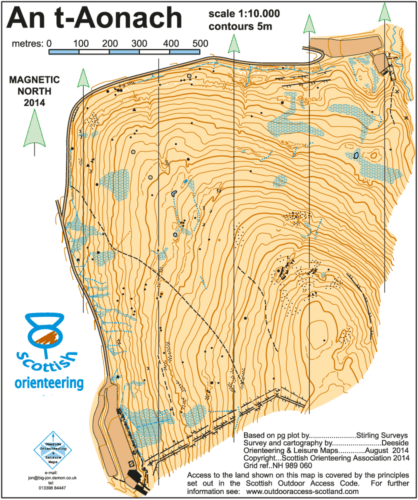 The map is 1:10000 with 2.5m contours and was surveyed / drawn by Tim Sands. 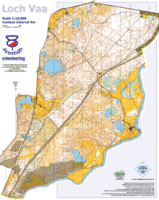 The area has the advantage of a complex street network with adjoining forest terrain which adds up to an excellent and challenging map. 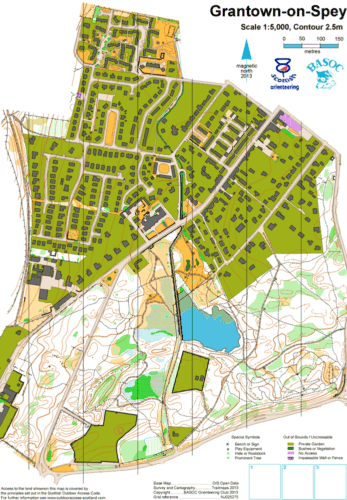 The sprint map could be combined with the Glen Gynack map. A compact are with a lot of detail and generally fast running. 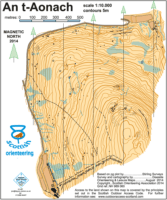 A great training area, mostly well-contoured and runnable. Situated north of Kincraig. Suitable for short races or relay training. 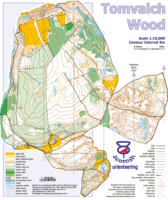 The area can be linked with the Dunachton Woods map to create longer courses. A good mix of terrain from super fast mature scotch pine in the south to slightly rougher plantaion in the north. The open area to the north is very fast with short grass (watch out for rabbit holes). The open area north of the railway has some new holiday chalets which are no shown on the map. 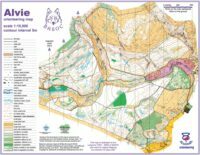 A detailed contoured area; the middle part is birch woodland with many rough open clearings and is grazed by cattle so it can be rough underfoot in places. To the east is rough open moorland while to the west the terrain is mainly fast open grassland. There are small patches of bracken; the marshes are mainly crossable - depending on the amount of recent wet weather! 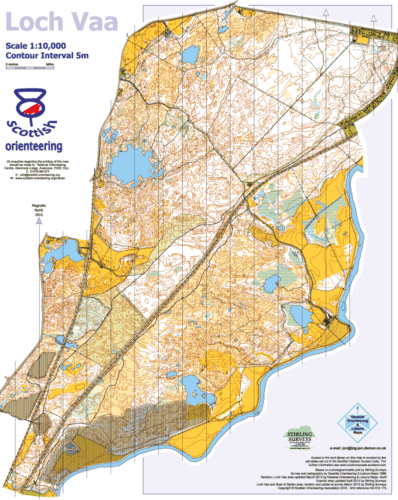 Map updated November 2017 by Stirling Surveys. This map covers the village of Nethy Bridge and the surrounding forest which offer the opportunity to combine some street O with forest terrain. The forest itself is incredibly beautiful with some of the biggest trees on Speyside. The down side is that the forest is relatively featureless with deep heather underfoot. 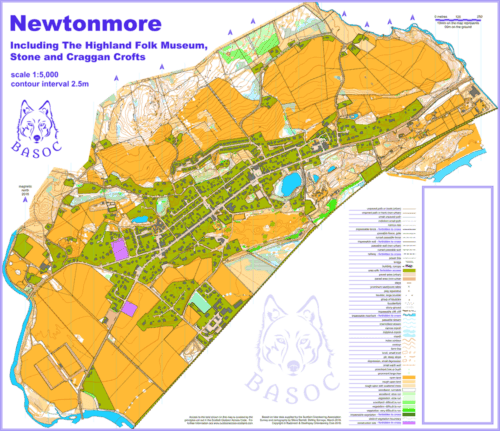 The Newtonmore map covers the village of Newtonmore and the surrounding area of the Highland Folk Museum, Stone and Craggan Crofts. The urban area is compact and the streets form a relatively simple pattern. 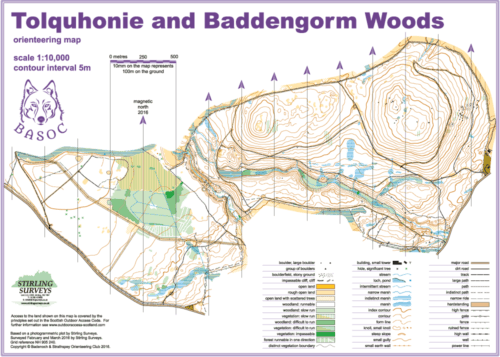 The area associated with the Highland Folk Museum is detailed woodland with the landforms being of moraine origins. To the north of the village are the crofts and associated fields before the land rises to the wooded craggy hillside of Craggan. Map scale is 1:5000 with 2.5m contour interval. Pine forest with patches of long grass and heather. Varied runability and quite physical. This is not your 'average' golf course! Good intricate moraine contour detail (2.5m contour interval); stands of Scots pine trees and heather moorland add to the mixture. The River Spey bounds the area to the south while the Speyside Railway forms the western edge of the map. During the daytime, take a glance to admire the views of the Cairngorm Mountains. 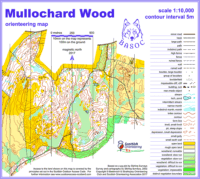 This delightful little wood has superb contours but not too many of them, and is conveniently placed between Carrbridge and Dulnain Bridge, on the north side of the A938.